Summer School Timings - Day Wise First Shift-Student Reporting Time 6.15 AM.Pls click to check more details. There will be holiday on 17th April 2019 due to Mahavir Jayanti and from 18 th to 20 th due to Holy Week. Summer Timing will be followed from 22-04-2019 reporting time of students will be 6.15 a.m. and dispersal by 12.00 p.m. Academic Courses after Class XII. 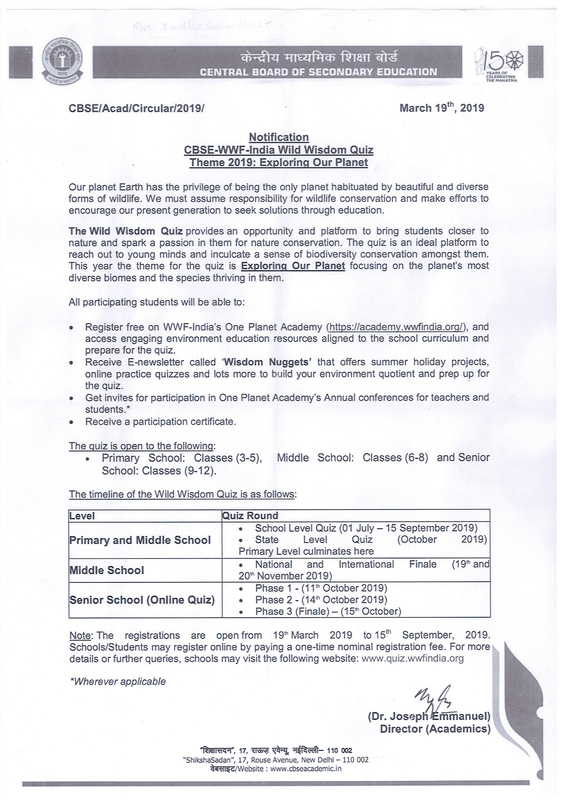 Pls click to check the details ..
India Wild Wisdom Quiz Theme 2019:Exploring Our Planet. Pls click to download the details. "NMCG-Ganga Quest-an national quiz on Ganga"
"www.gangaquest.com"Quiz Competition. Registration started from 1st April-2019 to 15 May-2019. Pls click to check more details. GET Result for std-11 will be declared on 24th April 2019.Timing 12.00 PM. New Bus to Telidih More,Adarsh Cooperative,Firing Range,Azad Nagar Siwandi will start from 08-04-2019 for classes 6 to 12. Dear Parents, You are requested to see the Class Work and Home Work of the students daily and sign in the copy everyday. Dear Parents, You are requested to see the diary of the students everyday and sign. Visit the parent portal for recent informations. Dear Parents, This is to inform you that strict action will be taken to the students who come late to school more than 3 times as well as those who violate the school rules by not bringing diary, I-Card, improper uniform, hair cut etc. Students are informed about the Bus facility route in Chira Chas has started from 03-04-2019 for Class ( I - V). There will be no regular Class for I to XII on 02-04-2019 due to Board Exam,English language work shop and Class XI Admission Test. Day 5 will be followed on 03-04-2019. There will be no regular class for classes VI to IX on 29-03-2019 and 30-03-2019,due to Board Exam.Students will have next class on 01-04-2019. For the information of class X and XII. Class X and XII will have Class for duration of 3 hours on 29-03-2019 ie from 7 to 10.00 a.m. on 30-03-2019 there will be no regular Class. There will be no regular class from 21-03-2019 till 23-03-2019 for the students of Class X and XII.Next working day will be on 25-03-2019 onwards will be by 7.00 a.m.
Online registration for class XI admission started,visit the school website and register at the earliest to get the MGM concession,Form submission last date 16-05-2019. Board Exam Tips-Following are the links of tips for board exam. 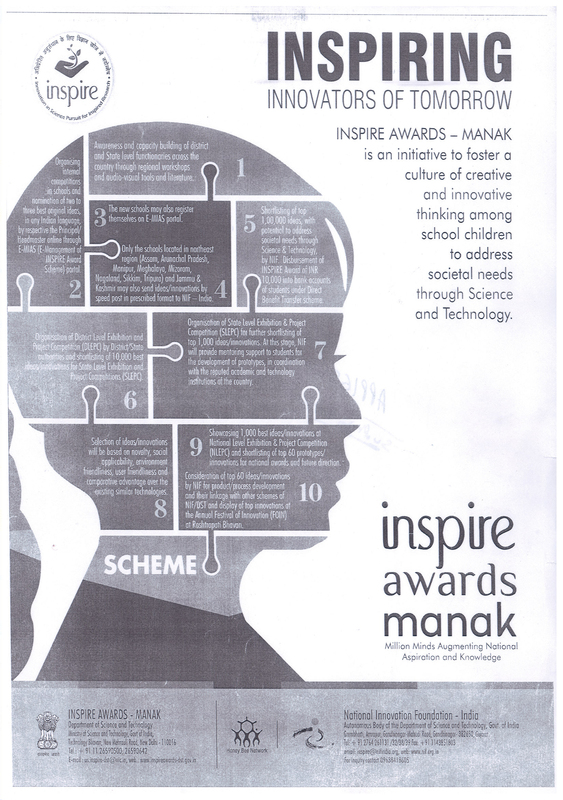 Pls click on PDF file and go through the link to check the details. Students of class VI to XII have to wear their school uniform on Monday,Tuesday and Thursday,white uniform on friday and P.T dress on Wednesday and Saturday. Hearty Congratulation to all merit holders of AISSE 2018-X from principal,Management and staff.We wish you all successful students a wonderful future.